I am delighted to be today's stop on the blog tour for Palm Beach Finland by Antti Tuomainen (translated by David Hackston). 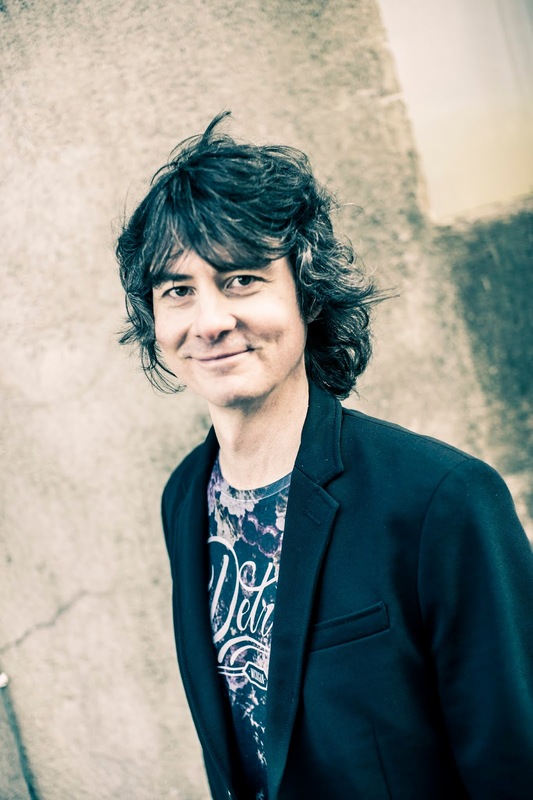 Antti tells us why there are two sides to every story - creating criminal characters. 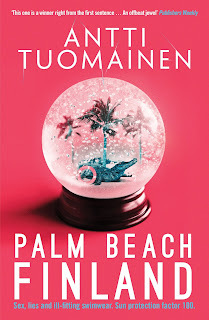 Palm Beach Finland is published by Orenda Books, and will be published in paperback on 18 October 2018. I have been writing crime fiction now for 15 years. I published my first novel in 2006 after several unpublishable manuscripts which I consider my basic training. (Actually, the advanced training still continues after eight published novels, but that is another story.) One thing I've always found quite a lot of fun is writing the bad guys. You know, the criminals. Or, to be completely accurate, the ones committing the crime in crime fiction. By portraying them as human beings, I mean that I aim to make them multi-dimensional persons. They are not completely evil and complete evilness is not the reason they commit their crimes. Sometimes they are not evil at all. They are just people caught in a highly surprising situation. Although, having said that, I have previously, for example, written about a hitman named Emil (The Mine, Orenda Books, 2016) whose work-related actions can't be defended, yet even he was something else besides a hitman. He was a father and his main concern in the story was in getting to know his son after not seeing him for 30 years. I didn't make him multi-dimensional to provide an excuse for his unusual line of work, but rather to deepen his character and to show him as a human being: faulty like the rest of us (and perhaps a tad more deadly) and trying his best with what limited means he had. 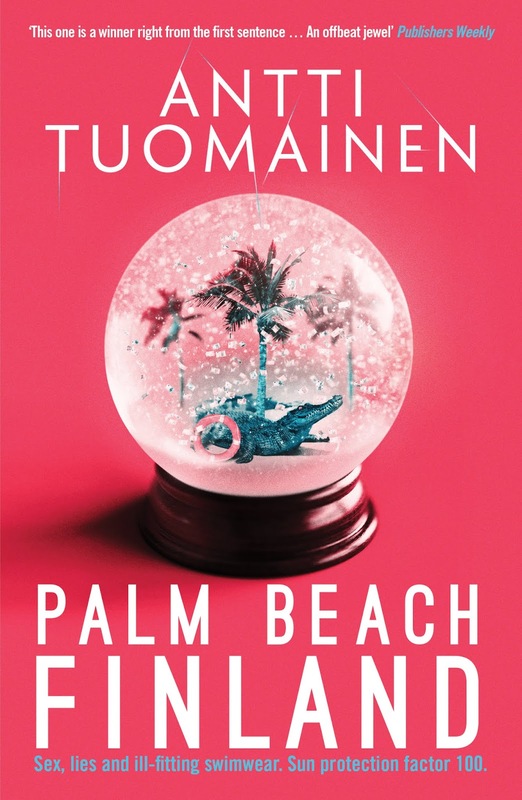 My latest book in English, Palm Beach Finland, out this November, brings forth another type of criminal entrepreneurs. Those with serious limitations in their wisdom-department, as the saying goes. Chico and Robin are not bad guys. They just end up doing all kinds bad things and causing general mayhem while trying their best to advance their ambitious personal plans. Their aim is true and pure, they wish to make their dreams come true, but chaos ensues. I loved writing them. And who can't identify with trying your best and ending up with the worst possible result. We've all experienced a version of that. It's just that it keeps happening to them all the time. Yet they're – I hope – likable mates all the way through. As the story progresses we learn more about them and find out certain things that are in no way unique. They wish to be loved, accepted, seen. This universal human wish sees them diving headfirst into trouble. 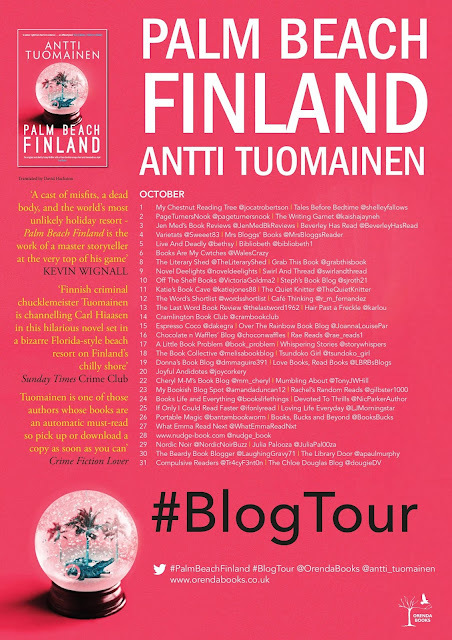 In Palm Beach Finland, we also have a cold-blooded criminal, a killer named Holma. But even he, in all his twistedness, has the same wish that his less-savvy criminal competitors Chico and Robin have. Holma wishes that people respected him, admired him, even worshipped him. But in him, it is safe to say, these qualities have over-powered the man. But that is human, too. That can happen. I noticed that writing Holma was different from writing Chico and Robin. I needed a bit more distance, a bit more coolness. And yet, by recognizing those characteristics that had him totally blinded, I found him and his character quite naturally and enjoyed writing his parts of the book.